Copper Mountain, CO – Colorado’s Copper Mountain, home of the U.S. Ski Team Speed Center, will act as host to the Putnam Investments NASTAR Pacesetting Trials on Friday, November 6. 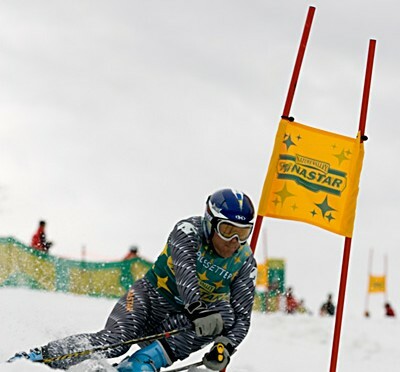 It will be the first time NASTAR, a citizen ski racing program, will have the official pacesetting trials since 1993, when a young rising star on the U.S. Ski Team named Daron Rahlves came out firing and won. Headlining the national pacesetting trials will be Olympic gold medalist Ted Ligety, along with an impressive list of both current and former U.S. Ski Team athletes including World Champion Rahlves, two-time Olympian Kaylin Richardson, World Championship medalist AJ Kitt, Olympic gold medalist Diann Roffe and more. In recent years, the national pacesetting trials were incorporated into the NASTAR National Championships during the final “Race of Champions” event. NASTAR Director Bill Madsen is looking forward to the resurgence of the national pacesetting trials to open the 2015-16 season with deeper involvement from the U.S. Ski Team. “I’m looking forward to bring back national pacesetting trials this year and blowing it out to include more U.S. Ski Team members, the National Training Group (NTG), PSIA Demo teamers, Masters racers and U.S. Ski Team alumni from across the nation, in what will be an opening day for recreational ski racing,” says Madsen. Ligety, Steven Nyman, Julia Mancuso and others have played a role as NASTAR pacesetters or ambassadors in the past. “NASTAR is where most ski racers in America, including myself, were introduced to the thrill of going fast and competing on skis by challenging our friends and family on the course,” noted Ligety. In an effort to officially kick off the 2015-16 ski racing season with a bang, the national pacesetting trials will coincide with opening day at Copper as well as the U.S. Ski Team’s annual Nature Valley First Tracks celebration. The day of festivities will be hosted by Richardson, a two-time Olympian, U.S. Ski Team alum and NASTAR pacesetter Kaylin. The U.S. Ski Team and NASTAR announced in May that the Team would be taking on operational management of the popular racing program. The integration with NASTAR is designed to capitalize on the global success of U.S. Ski Team athletes, bringing greater awareness to the sport and value to the industry, while motivating participants of all ages to get involved in ski racing. The November 6th Putnam Investments NASTAR Pacesetting Trials event is part of a broader plan for the Team to integrate more athletes into the program as a precursor to NASTAR’s biggest event, the annual NASTAR National Championships in March. The national pacesetting trials will set the Par Time for the 2015-16 NASTAR season. 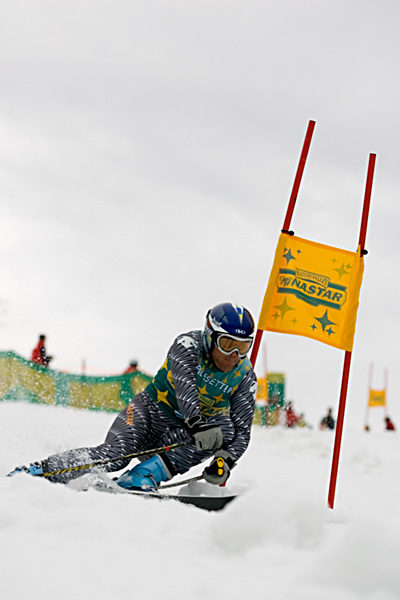 NASTAR stands for the NAtional STAndard Race and the Par Time is the Standard that all participants compete against when they race NASTAR at 115 resorts. Each NASTAR resort has a staff of pacesetters with certified handicaps so that they can set the Par Time for their NASTAR course.